Cardiologists are medical doctors who specialize in the diagnosis and treatment of diseases or conditions of the heart and blood vessels, such as chest pain (angina), irregular heart rhythms, high blood pressure, heart failure, or heart attacks. Cardiologists administer tests that indicate how well a person’s heart is working, such as a treadmill test (exercise electrocardiogram), and perform procedures such as cardiac catheterization and angioplasty. They can further specialize in interventional cardiology (the use of mechanical treatment methods, such as angioplasty) or electrophysiology (treatments involving the heart’s electrical system). Cardiologists can be board-certified through the Board of Internal Medicine, which is recognized by the American Board of Medical Specialties. 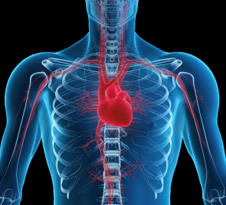 Cardiovascular surgeons are medical doctors who specialize in surgery of the heart and blood vessels. They generally perform heart surgeries and treat people who have a blockage in the blood vessels leading to the heart (coronary artery disease) or problems with heart valves. Visit the Physician Directory to find board-certified cardiovascular surgeons and cardiologists at United Regional.